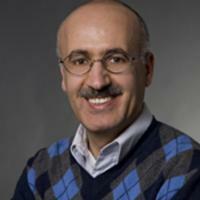 Husam Najm, Ph.D., P.E., is professor of civil and environmental engineering at Rutgers and a registered professional engineer in Massachusetts, New York, and California. Prior to joining Rutgers, he was a senior structural engineer and a technical manager with T.Y. Lin International in Boston, Massachusetts. At T.Y. Lin, Najm had several years of practical experience in prestressed concrete and steel bridge design, in particular, the $12 billion Central Artery/Tunnel Project in Boston. He was involved in all phases of bridge design, detailing, and construction. Recently, he served as a consultant with T.Y. Lin International in San Francisco, to conduct an independent review for design, detailing, and fabrication of a major double-deck truss structure for the San Francisco-Oakland Bay Bridge. His work in concrete research, and his applied industry experience, has rendered Najm an expert in the use and understanding of various concrete admixtures. He also has extensive experience in designing, detailing, and construction of pre-tensioned and post-tensioned concrete bridges. Najm has done computer modeling of bridge structures. He was heavily involved in the seismic design, detailing, and construction of abutments and deep foundations such as steel and concrete piles and larger diameter drilled shafts and worked on a project in which larger diameter drilled shafts were used in a transportation project for the first time in Massachusetts. In addition, Najm has significant experience in experimental work on the properties of high-performance fiber-reinforced concrete. He has authored and coauthored several publications on this subject. Najm was the principal investigator on two NJDOT projects dealing with 1) evaluation of self-compacting concrete (SCC) for NJDOT construction projects, and 2) shrinkage of concrete in bridge decks. In the SCC project, a key element was field implementation of SCC in drilled shafts. He also was involved in two AASHTO Load and Resistance Factor Design (LRFD) Specifications research projects with NJDOT: 1) evaluation of NCHRP 12-49 provisions for seismic design of bridges in New Jersey, and 2) the Doremus Avenue bridge project. He also worked with the FHWA-NJ Structures Bureau on producing the report "Seismic Analysis of Retaining Walls, Buried Structures, Embankments, and Integral Abutments" (FHWA-NJ-2005-002). Casale, A, Najm, H., Doukakis, J., and Davis, K.,(2013) ‘ Quantitative Assessment of Infrared Scan of Concrete Admixtures,”, International Journal of Concrete Materials and Structures , Volume 7, Issue 3, September. G., Venkiteela, Z., Sun, and Najm, H., (2012) “Prediction of Early Age Normal Concrete Compressive Strength using Shear Modulus Measurements’, ASCE Material Journal, December, 2012. Tokal, Y., Najm, H., and M. Arafa (2011),”Simplified Design Method for Bridge Piers Subjected to Unconfined Blast Hazards,”, Journal of Bridge Structures, Vol. 7, No. 1, 2011, pp. 31-41.